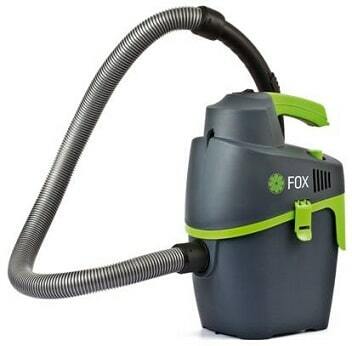 The fox vacuum is a small and compact vacuum cleaner that can be used without a paper bag. With the unique Easy push filter cleaning system you can easily clean the filter and all the dust from the filter will still be in the tank. It comes with a strap which allows the vacuum to be carried on the shoulder making it more versatile. Push button cleaning. Washable carton filter @ 40 microns filtration.